As the photography is intended to image objects, the main concept of cameras and images is resolution – the ability of an imaging system to resolve detail in the object that is being imaged. In the world of digital photography, the resolution is often – and often mistakenly – represented as the number of pixels (or megapixels – millions of pixels), the atomic items of digital picture. While the number of pixels in an image limits the detail the image can hold, it does not guarantee certain level of detail. Enlarging the image increases the number of pixels, but does not add the detail. The number of pixels in a camera also does not guarantee the detail; it only limits the finesse of detail the camera can capture. Moreover, the resolution itself has not much sense alone. While showing the finesse or maximum density of detail that a camera can image (resolve), it does not show how fine it is resolved. That is why photographers talk not about the resolution alone, but about the clarity or sharpness – which is the combination of how much detail can be resolved (the resolution) and how fine it can be resolved, in other words – how properly the transition of brightness at edges is captured (the acutance). 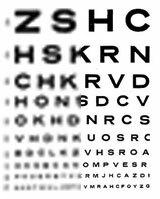 If we did not care about how well the edges are defined, we would not need 8 bit-per-pixel or 12 bit-per-pixel sensors – pure 1-bit sensors would be enough. 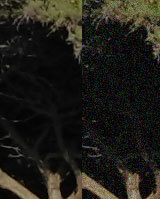 Noise: random changes in brightness and color affect the accuracy of image detail. The noise-to-signal ratio grows as the less light is captured by a sensor – either the physical size of a pixel is small (and it gets smaller and smaller as you put more megapixels in the sensor, not increasing the size of the sensor itself!) or the lens area and the aperture are small, thus less light gets to he sensor. That is why a professional camera having only 6 megapixels, but large sensor, equipped with precise lens with wide aperture gives more detail than a tiny consumer 12-megapixel camera. This entry was posted in basics, resolution by Eugene Panich. Bookmark the permalink.